Water contamination is a rising concern in parts of the country. The infamous Flint contamination issue that leaving thousands of homes affected by lead contamination is one example. The great filtration system will get rid of the contaminants no matter it is organic or inorganic. You probably don’t want a bulky water filter sticking out in and destroy the appearance of the kitchen, don’t you? In that case, you might consider having an under sink water filter that completely hidden from the view. 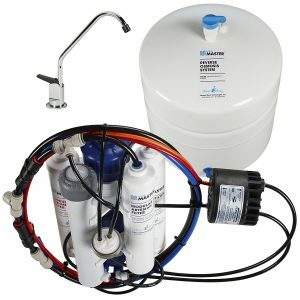 What Is The Best Under Sink Water Filter? 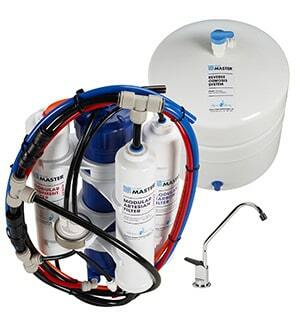 How To Pick An Under Sink Water Filter? To make this easier, we have put in a table for comparison based on the features of 5 under sink water filters that are highly sought by customers. + Eliminate up to 99.99% of lead, cholrine, VOC and other contaminants. + Lifespan: 10000 Gallons or 3 years. + 3 stage filtration that removes chlorine, heavy metal, sediments, odor and smell. + Lifespan: 50000 Gallons or 5 years. + 0.5 Microns of filter that removes up to 99% of lead, chlorine, odor, taste and microbial cysts. + Certified to eliminate up to 99% of lead, cholrine, VOC and other organic and inorganic contaminants. + Lifespan: up to 12 months. + Reverse osmosis filter that removes 99.99% of most contaminants with UV sterilization features. *Flow rate based on gallons per day (GPD) and gallons per minute (GPM). Generally, all the systems suggested above received a high rating from its customers. But each of them has its own strengths and weaknesses. 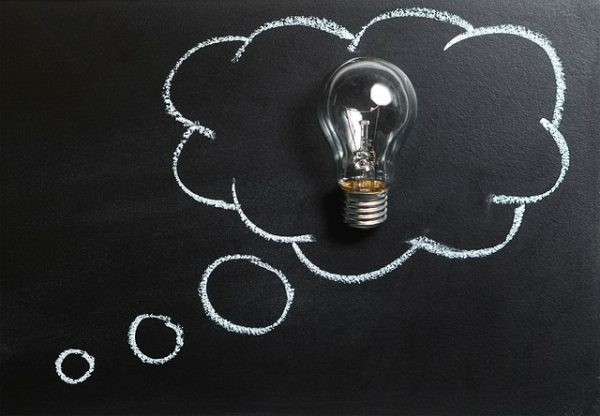 It’s all depends on several factors such as water conditions, budget, flow rate to determine which system is suitable for your home. Still not satisfied with the comparison table above? The following section contains the in-depth review of the 5 filtration systems that were mentioned above. Woder is a well-known water treatment brand for its durability and affordability. This is why we rank the 10K-Gen3 as the top rated under the counter system. Suits City Water: Woder claims to have certified in removing 99% of chlorine and lead while reducing other contaminants such as heavy metal, VOC and etc. These are all urban water contaminants. Healthy Minerals Remain: Unlike reverse osmosis filter, it selectively removes contaminants and retained healthy minerals in the filtered water. Minerals such as calcium and magnesium will not be filtered. Installation Free: It comes with a 3/8” connector which is easily connected to the water valves of most of the US household. It should be installed in the cold water pipe. If you are using a 1/2″ pipe, you will need an adapter to fit into the system. The system is fully made in the US that comes with a “You’ll Love It” guarantee which allowed you to return if the product is not satisfactory. Woder claims that a single filter can create up to 10,000 gallons of fresh drinking water. For a medium household of 4, you can probably install and forget about it for 3 years. + Direct connect hassle free installation. – Not capable of removing highly contaminated water. – Not fitting to all of the pipe. – No full certification on contaminant removal percentage. Click on the button above to check the reviews of the product from existing customers. Although CuZn is a less known brand in the water treatment category, their system is one of the most affordable and effective as compared to others. 3 Stage Filtration: In one canister, it contains a patented 3 stage filtration system that includes micro sediment membrane, KDF-55 media and catalytic coconut shell carbon. CuZn claims that it reduces a wide variety of contaminants such as chlorine, lead, mercury, sediments, algae and etc. However, there is no certification on how effective it reacts against contaminants. Bacteriastatic Filter: Unlike other carbon filters, the KDF-55 prevents bacteria or molds growth in the filtration system. Simple Installation: Like the Woder, the CuZn can directly connect to a 3/8″ pipe which is commonly use in cold water pipe under the sink in the US. Otherwise, an adapter is needed. The UC-200 comes with a pro-rated 5 years warranty and a 90 days satisfactory guarantee. The reason why it is affordable is due to the suggested lifespan is 50,000 gallons of water. It is suggested to change the entire filter after 5 years even though it hasn’t hit the maximum capacity. + Extreme long lasting filter. + Flow rate of 2 GPM. + Pro-rated 5 years warranty. + Mold or bacteria growth prevention. – Only suitable for city water. – No certification on contaminant removal percentage. Explore in our #1 favorite online store, Amazon.com. 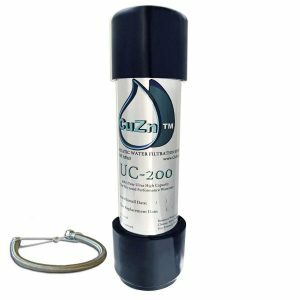 CuZn UC-200 Under Counter Water Filter. It’s very frustrating the flow of water reduce dramatically when a filter is installed. Don’t believe in companies that promise no reduction in flow rate after the filter is installed. 3M Filtrete has one of the reasonable flow rate. High Flow Rate: The flow rate is one of highest among all our best pick in under counter filter. It is rated at 2.25GPM. City Water Contaminants: Apart from the high flow rate, 3M claims to filter contaminants that are larger than 0.5 microns. It removes 97% chlorine taste & odor, 99% microbial cysts and sediment. However, it doesn’t remove fluoride. Hassle Free Installation: Installation is pretty simple. A quick connect adapter will be connected to the cold water pipe where the filter is screwed up to the adapter. This filter comes with a 1 year limited warranty. The worst part of it is the lifespan. Each filter can only last for 6 months. Hence, it will increase the cost of replacement which made it unaffordable for some. + Certified against NSF Standard 53 and 42. – Short lifespan of 6 months. Check out the price in our #1 favorite online store, Amazon.com. Some people feel more secure to see the papers or certifications on how well the filter performs. If you are looking for an under sink water filter that comes with certification, Epic Smart Shield is your choice. Certified To Remove: The carbon block filter is certified to remove 99% of 70 contaminants such as lead, chlorine, VOC, bacteria and many more. 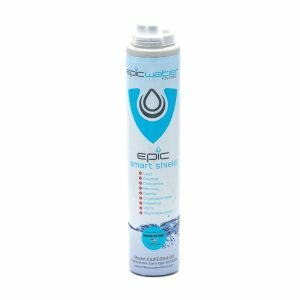 Well Water Compatibility: It is claimed by Epic that this system is capable of removing bacteria which is often seen in most well water source. Certification: The Epic Smart Shield has certified against the NSF/ANSI 43, 52, and 401 by an independent laboratory. All Epic system comes with a 100% lifetime warranty. The stand behind on the quality of their product. Epic suggested to change the filter every 14-16 months for one person usage, 12 months for a couple usage and 9-12 months for a large family. + Remove 99% on 70 contaminants. + Certified against NSF Standard 53, 42, and 401. – Low flow rate of 1.25GPM. You can either get it from Amazon or directly from Epic Water and get an instant 15% off. Click on the button above to check the excellent reviews of the product. When is on well water, it is usually highly contaminated water source. Normal under sink filter aren’t able to handle the job nicely and perfectly. This nasty job has to be finished by the Home Master TMHP HydroPerfection. Complete Coverage: It is a 9 stage filtration system which buckled with sediment filter, carbon filter, reverse osmosis membrane, remineralization and UV sterilization. The TMHP is capable of removing 99% of all contaminants including virus and bacteria while adding beneficial minerals such as calcium and magnesium. Iron Removal: Well water contains a high amount of iron which TMHP has a dedicated filter to remove iron. The presence of iron alters the taste of your food and water. The system is made entirely in the US and it comes with a 5-year limited warranty. The suggested lifespan of the filter varies from 1-3 years where the reverse osmosis membrane only needs to be replaced once every 3 years. The rest of it is 1 year. + Complete filtration that removes 99% of contaminants. + Suitable for well and city water. – Installation might need more effort. – Space required for installation. – Expensive system, but is worth it. Check out the system in our #1 recommended store, Amazon.com. Are you puzzle on choosing the best water filter for your kitchen? There are so many products on the market which claims they are the best in the market. Is it really the case? The easiest way to determine which system suits you is to identify the problem that you intend to solve. Check your consumer confidence report in your city. It isn’t that hard to pick a good drinking water filter for your home. 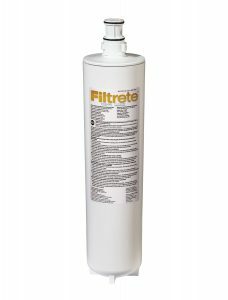 How well in percentage does the filter remove contaminants? Does it specify which contaminants that it removed? What is the micron ratings that it can filter up to? If it is a reverse osmosis system, what is the TDS rating after filtration? How long does the lifespan of each filtration cartridge? The longer the lifespan of filters means that the better technology that was used on the cartridge. Is this system within your budget? 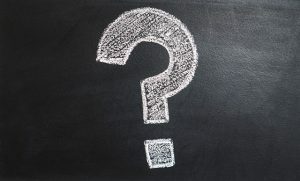 What is the annual maintenance cost of the system across 5 years? Lastly, looks for reviews from existing customer. They will give you an insight into how well the filter is able to perform. It will save your time for returning a product that isn’t solving your problem. With these criteria above, you won’t get it wrong when buying a water filter. There are so many types of water filter int the market such as countertop, whole house, faucet, ionizer and water pitcher. Why should we choose a bulky water filter? If you are talking about drinking water filter, in most cases, under counter water filter tends to be the cleanest machine you will ever get in the market. Here is why I say so. For other drinking water filters like countertop, faucet and water pitcher, their capabilities have been a trade-off with size and portability. Those systems required minimum or no installation as they were designed to plug and use in every single home. Anyone that purchases the under sink systems is not much concern about the space and portability. They just need their water to be free from contaminants. Traditionally, under the counter systems are much expensive than other types of water filter. It terrifies most of them and went to search for alternatives. What you didn’t know is the type of filters are cheaper in the yearly maintenance cost as compared to the water pitcher. This is due to the filter replacement happens once a year while water pitcher requires replacement every 1-2 months. You won’t be seeing tubing or canister sticking out from your kitchen. As a homeowner myself, I would like to make sure that all the tubings and pipes to be hidden from public view. Other the other hand, you will have more rooms around the sink to do your kitchen chore. After going through our detail review and comparison table on all the under sink water filter, I guess you have a better view on which system can help to solve the contaminated problem that you are facing. It is time to make a choice now! 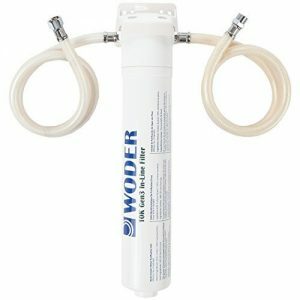 Check out the Woder 10k Gen3 as it is our recommended best under sink filtration system that is available in the market. If you are still looking for other types of system, why not look at our best drinking water filter guide? some say the taste of the water is subjected nature. but i believe that We all need a good water that is free from bacterias ,and other viruses . a water with good quality taste . i also believed in selective filtration can make effectively reduces the most contaminants in water . thank you for this educative article on how to choose a good water filter . This is a very helpful article for people looking for alternatives to bottled water! Water is something we drink every day (hopefully) and it’s one of the most important things for our health along with food and sleep. We should definitely be paying attention to what’s inside it. Thanks for providing so many recommendations! Yes, water is an important element in our life. Hence we need to make sure that it is free from contamination. Wow what a detailed article ! Thank you for the work you’ve put up with to share this with us. I really liked the pros and cons table. Commercials just want to sell their products so I better trust this article the next time I need an upgrade.